You need your radio through your entire work shift. It is important that it is easy to access and carry. Carry it on your lapel, waist or shoulder – or hide it for covert operations. There is a carrying solution for all these needs. A well-equipped radio is a pleasure to use. How do nurses and doctors carry the TH1n slimline radio? This video shows how easyly tetra radios can be carried on a daily work routine. How to use the TH1n radio for covert operations. In covert operations it is essential to have a device which is lightweight and easy-to hide. 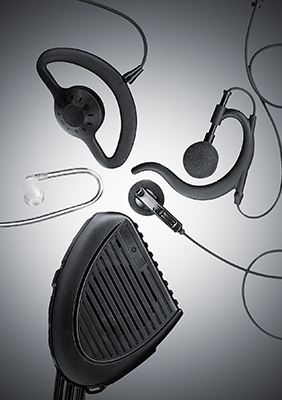 Take a look at the available TETRA accessories. A well-equipped radio is a pleasure to use. The Spm-15 remote speaker microphone is an additional accessory for Airbus TH9 and THR9i TETRA handheld radios. Did you you know... Your carkit is actively helping you? You can easily use your handheld in a vehicle thanks to its handy carkit holder. The carkit can connect to an external antenna, which gives you more radio range. The carkit will also assist you. When you leave the car, you just pick up the handheld from the holder and you are good to go. Read an article from Key Touch magazine. Do you need robust, waterproof equipment or even ATEX approved special accessories? Or do you prefer a lightweight, invisible kit? Do you need a hands-free radio? 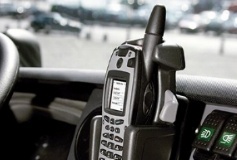 Airbus TETRA radios have a smart connection for smart accessories. Shortcut keys for status messages. All these extra possibilities are a smart choice for you. Authorized distributors can help you find the most suitable radio accessories for your needs.